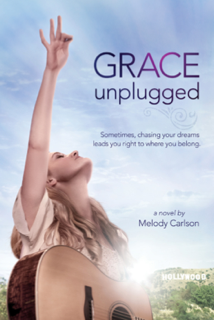 Just a bit ago, I did a review and giveaway for a book, Alone Yet Not Alone. Just leave a comment telling me who would use these. The giveaway closes tomorrow night when I get home from AHG, which means roughly 11 p.m. Mountain time. Maybe a bit later. I won't close it earlier. For an extra entry, post about this giveaway on Facebook, Twitter, etc. and leave a comment for each of those that you do, and either give a link or tag me. I will email the winners Tuesday evening, and I need to hear from you by noon on Wednesday. If not, I'll choose another winner. If I don't hear back from that winner by midnight, the prize is forfeited. I just wish this was happening on a different weekend so that I could go. But it is still Saturday, and I am writing up my post about my baskets!! So between my baskets, I got roughly double that. 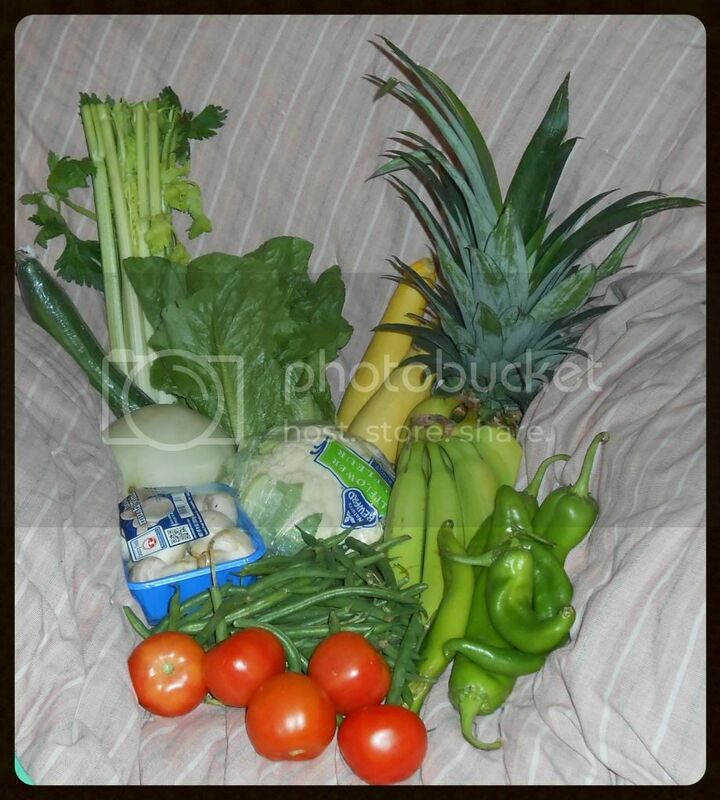 lettuce, celery, mushrooms, tomatoes, and all of the fruit just get used. Nothing terribly special involved. One cauliflower, one cucumber and some celery is going to be chopped up to do a veggies & dip thing for church. The other cucumber was given away to a friend who needs it more than I do. The other cauliflower might just be chopped and done with dip around here. Green beans are going to be a side dish for a couple of meals this week. Yellow squash: I am playing with some things like scalloped squash or who knows what. I need a good, solid, yummy side dish that my family will love so I don't always struggle with how to use squash. Chili peppers: I am going to be making a Mexican lasagna recipe again, and I'll be blogging about on the Bountiful Baskets blog. That will use some tomatoes too, most likely. 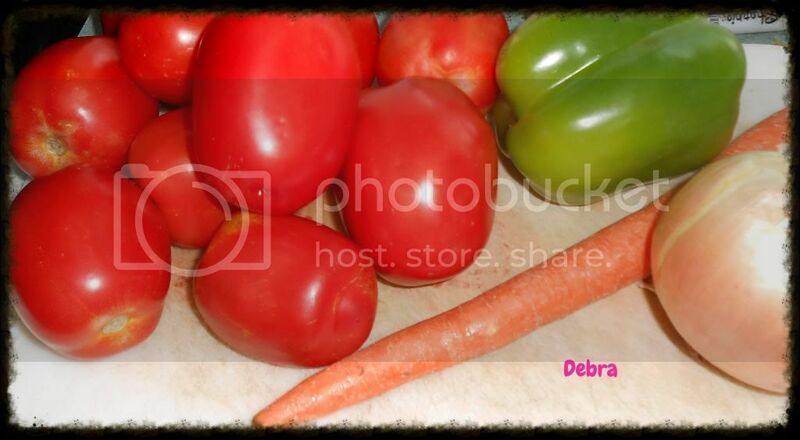 I'm blogging for Bountiful Baskets! I think they are crazy. I don't do anything too special, just feed my family. But hey, it is pushing me to stretch a little. Hmmm. Whatever could it be? Well, another hint. It is part of a series called Pizza and a Movie. My post is here. But the other posts are far more creative. Some titles come along in my reviewing life that are hard to review simply because I know I will never accurately convey how much I love the book. 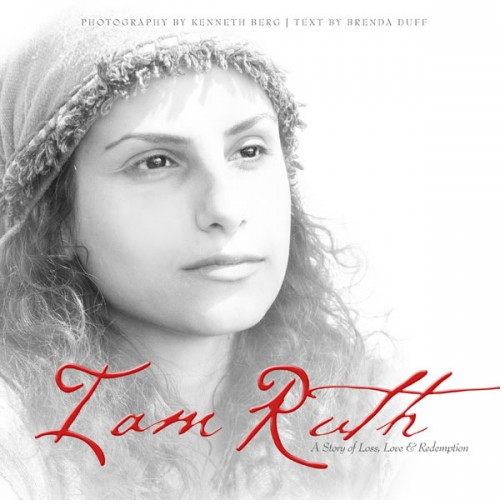 I am Ruth: A Story of Loss, Love & Redemption is definitely in that category. Written by Brenda Duff, with photography by Kenneth Berg, the bottom line is: everyone ought to get this one. That doesn't remotely do justice to this title. When this book arrived in my house, I opened it up, and within about 30 seconds I knew that I absolutely loved it. The book contains the biblical text, but I can get that from my Bible. It also contains photographs of authentic-looking people acting out the story more or less where the events took place. And there is plenty of descriptive text too, which drew out aspects of the story that I had never really stopped to think about. This isn't just about the events in the book of Ruth. There is discussion about Abraham and Lot, or about Joshua and the spies in Jericho. All kinds of background information about customs, places, and events is presented in a very readable narrative. You can go see what other Moms of Master Books have to say about I Am Ruth! There is a Book and a Treat Facebook party coming up September 24 at 9 pm EDT where you could win cool prizes including (I assume) this title, something from Every Good Gift (the Treat sponsor) among other things -- and discuss the book too. Today was a pretty amazing basket. The pears, plums, bananas, melon, tomatoes and lettuce will just be eaten. No planning needed. I also got a huge box of bicolor corn, from Olathe, CO. Most of that is going to be frozen, but we will undoubtedly be eating corn on the cob a time or two or three this week too. Over the summer, I've had the opportunity to read a really fun book. Sherlock Holmes and the Needle's Eye by Len Bailey takes Holmes & Dr. Watson into ancient Israel to investigate ten Bible mysteries. Embark on a journey through the Old and New Testament with Sherlock Holmes and Dr. John Watson as they explore exotic and spice-laden places in search of clues. The detective and the doctor travel back in time with the help of a Moriarty-designed time machine to investigate ten Bible destinations, unlocking clues to ten Bible mysteries. The most fascinating crime cases are those that are already solved, those that have been investigated by the police and brought to a swift, satisfying, and almost inevitable conclusion. So it is with Bible stories which the reader may consider familiar and unremarkable. But under close scrutiny these stories give up their hidden clues, their long kept secrets. Like a jewel newly polished, they sparkle and shine with a fresh, introspective light. · The Hanging Tree: Why did Ahithophel hang himself? · Righteous Blood is Red: Is Zechariah the son of Berekiah or Jehoiada in Matthew 23? · You Miss, You Die: Why did David take five stones against Goliath? · Dead Man Walking: Why did Jesus delay in coming to Lazarus in John 11? 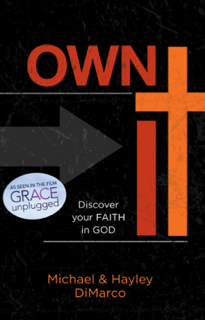 This book can be read just like a novel, or you can turn to the back to do a Bible study, and top that off by reading the corresponding chapter. I chose to read it as a novel, and then followed that up by doing a couple of the chapters as Bible studies. The novel is good -- the interaction between Holmes and Watson seems very true to their established characters, and it just "feels like" a Sherlock Holmes mystery. Some of the storyline seems a bit strange though. They travel back in time to witness some event, but the time travel portion of the chapter really wasn't necessary, for instance. I enjoyed the novel. 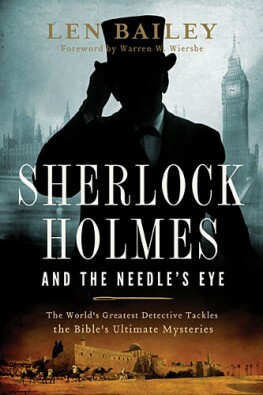 Connor, who has read everything Sherlock Holmes, also stated that "this does really seem like a real Sherlock Holmes story, though initially I didn't think that at all. About halfway through the first chapter, it started reading 'right' though." The Bible study portion really dovetailed well with the story, and I found that interesting. Last summer, Thomas (a rising 6th grader at the time) was able to review Homeschool Spanish Academy. Although it wasn't a great fit for him, I really wanted to get Connor going on it for high school. Then Connor had a chance to take a Koine Greek course, so he didn't do Spanish last year. This year? About a month ago, Connor started taking the High School Program at Homeschool Spanish Academy, and we simply love it. So how does this work? The program is set up with a 4-year high school curriculum that you work through one-on-one by Skyping with a qualified teacher in Guatemala. The teachers go through pretty rigorous training so they are able to teach their native language. In addition to the high school level, they also teach students as young as 5, and recently they added programs for adults. Before the actual lessons begin, you do a quick "practice" Skype call with a tech guy to be sure your equipment is working and that you know how to do everything. That means your lesson time isn't used to address technical issues. Or at least, it minimizes how often that happens. On a practical level, once you have signed up for classes, you are able to log in and schedule your student to meet with a teacher at a specific time. You can go ahead and schedule every Thursday at 4:00 with Rosa, or you can change up the times and days, depending on your schedule. You can also change teachers -- they take extensive notes about each class session, and whichever teacher your student has next week will read through the notes before class. And if you do something like schedule classes for Wednesday afternoons, and then you realize that starting in September Wednesdays will not work, you can cancel the class and reschedule it. They ask for cancellations to happen 24 (or 48? I've seen both) hours in advance, which is totally fair. Connor had his sessions with Rosa throughout our 1/2 semester program, which is 7 weeks. When we go on to purchase another semester, he is wanting to try out some of the other teachers too. He liked Rosa at that first session, and it was most comfortable to stick with her to start with. At this point, he is interested in hearing some different accents and seeing some slightly different approaches. So what do you need to do this? High speed internet is required. It doesn't have to be super-fast, and you can check to see if you meet the requirements listed. (Our speeds aren't fabulous, so I made it a rule that nobody else is allowed to be doing any bandwidth-intensive activities during Spanish class.) You'll need to have a microphone so your student can talk to the instructor. A webcam is definitely a good thing, so the instructor can see and better interact with your student. A headset is great to have as well, though I don't think it is strictly required. You don't want every noise in your household to get picked up on this, and unless your kids are quieter than mine, well... it can be quite distracting. But how do the classes actually work? Connor gets Skype open 10-15 minutes before his class is scheduled. Once Rosa "calls" him, he answers the call, and they get started. The class is 50 minutes long (at the high school level), and with the one-on-one, they get a lot accomplished in those 50 minutes. There is a set curriculum, and they go over last week's material, take a quiz (every 2-3 lessons) or exam (every 4-5 lessons) if that is scheduled, and start chatting about new material. The instructor puts the material up on the screen so Connor can see it, and mostly they "just talk." In Spanish. Rosa will quickly switch to English if Connor isn't grasping something, and for some of the little chit-chat get-to-know-you types of things. There, a lot of the time, she'll ask a question in Spanish, then repeat it in English. Connor will answer in English, and she'll tell him how to say that in Spanish, which he will repeat. New words are typed in as well, so he can see the word, not just hear it. After class is over, the instructor will send homework. I get that email, Connor gets that email, and it is available in your account on the Homeschool Spanish Academy website. We did have a few hiccups with getting the homework submitted, so that was a bit frustrating early in the process. And I have a hard time convincing Connor that he really needs to submit the homework before his next class day. I'm sure that frustrates his teacher. In the top part, Parte A, they are to describe the characters. In Parte B, they are to change the adjectives from masculine to feminine and to make them plural. What did Connor think? He loves his class time and feels like he is learning a lot. He has tried to learn Spanish with some other programs before, so a bit of this is familiar to him. But he feels that he is making real progress, and actually able to come up with things to say on his own, with this one-on-one instruction. His only frustrations have been with the homework. The first assignment included a section where he was to match the picture to the sentence, only some of those pictures were really tough to figure out. The two of us sat down with the English translations of the Spanish sentences and tried to figure out which picture meant what. That took a significant amount of time, and I suspect we guessed wrong on some of them. After that first homework assignment, though, he hasn't encountered anything that frustrating again. There are a lot of pictures used (like in the example above) but for the most part, it is straight-forward to figure out what is going on, especially now that he has more words to work with. Submitting homework took him awhile to get too. The trick, basically, was to point out the little "print to pdf" checkbox... so he completes the homework, prints it to a pdf file, and submits that. What do I think? The short answer is that we're buying a semester of lessons, to start in October, after we get back from my brother's wedding. At $169.99 for a 15-week semester of once-per-week classes, this is a chunk of change. But that is just over $11 per class, which is far less than one-on-one tutoring would be, and we don't have to drive anywhere, or buy anything. And in his last two years of high school, he ought to be able to earn at least two Spanish credits. I would like to have some sort of "progress report" but maybe that is there and I just haven't found it yet. An idea as to what I can do to help him move along, or an idea as to how he did on the quiz or exam -- either would be nice. 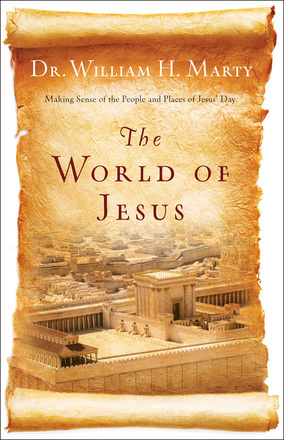 Over the summer, thanks to Bethany House, I've had the chance to read and review The World of Jesus, by Dr. William H. Marty. It occurred to me as I was writing this review post that I have read another book by Dr. Marty, The Whole Bible Story. I did not find that book to be a good fit, though reading about it I wonder if it might work better in our lives now. Fortunately, I didn't realize that until after I had requested this title, as I have loved The World of Jesus. Sometimes it’s hard to find your bearings in the New Testament, as you enter the time and place of Jesus and His disciples. There are confusing practices, new people groups, and even unexplained religious conflicts. How did it all come about? • Why did "Israelites" start being called "Jews"? • What's a "synagogue" and what happened to worshiping in the temple? • Who were the Pharisees and why was Jesus so upset with them? • Why didn't anyone like the Samaritans? Get to know the times in which Jesus lived, so you'll better understand His teaching and ministry. And along the way, discover how God prepared the world for the One who would turn it upside down. This book is a very readable presentation of the history of the Jewish people from 539 BC to 70 AD. Most of this is covering the 400 years between the end of the Old Testament and the beginning of the New Testament. The first chapter, Homeward Bound: The Persian Period, covers the end of of the Old Testament, roughly 539-331 BC. This chapter contains a fair amount of material that would be familiar to you if you've read your Bible -- from the fall of Judah onwards. While the first chapter was interesting and informative, I found the next chapters to be more worthwhile. Starting with Alexander, and ending with the destruction of the temple in 70AD, the rest of the book fills in a lot of the political events of the times as they pertain to the Jewish nation. Yes, I've learned a lot about Alexander the Great, and even a bit about him in relation to Jerusalem. But what does Hellenism (the civilization and culture of Ancient Greece) have to do with the rise of the Pharisees? I had no idea there was a relationship. My bottom line: Most of my students (grades 2-9) are studying world history this year. This book is going to be a part of that. Dr. Marty ties together the regular history with fascinating information about how that impacted the Jewish culture. 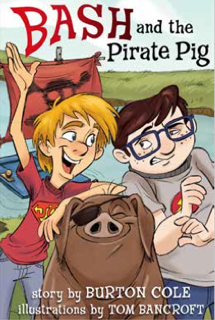 I'm not sure the 2nd and 4th grader will get much from this book, but the 7th and 9th graders most certainly will. And even though he is studying a completely different time period, my 11th grader will be sitting in on this book too.